Rolling Motion Industries (RMI) has released for production the next two in it's series of highly efficient speed reducers. These 3-to-1 speed reducers use "game changing" traction drive technology. The MAR-17-1-3.1 and the MAR-23-1-3.1 Speed Reducers feature 98 percent efficiency and with only 6 moving parts they typically out last conventional gearboxes and speed reducers by a factor of 3. The MAR17-1-3.1 Speed Reducer is designed for input speeds up to 3,600 rpm with 10 to 20 in/lbs of torque, and the MAR-23-1-3.1 Speed Reducer is also rated for speeds to 3,600 rpm but with an input of 20 to 30 in/lbs of torque. 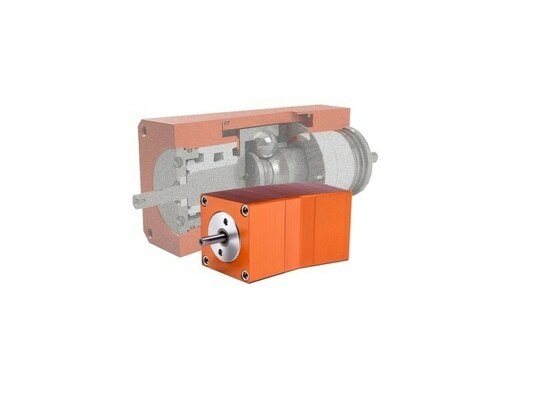 As the output speed is reduced by a factor of 3 the output torque increases by a factor of 3.